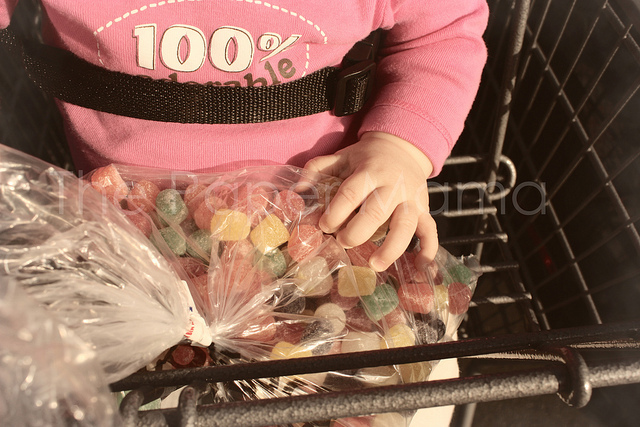 Remember when I Ruari and I went shopping for a massive amount of gumdrops? Well, here’s what we I did with them! I made a Gumdrop Wreath!!! I plan to put it up on my door in early December. It’s just one teeny bit of a massive amount of decor I’m making for Ruari’s candy themed birthday party! 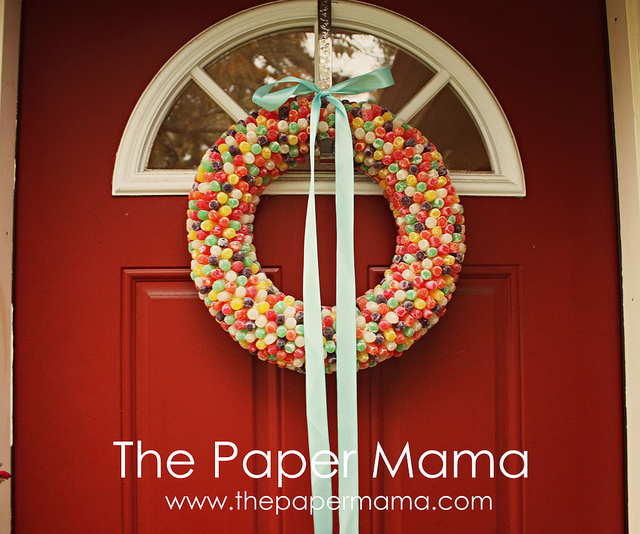 Creating this gumdrop wreath is SO SO simple (just time consuming). Gumdrops. 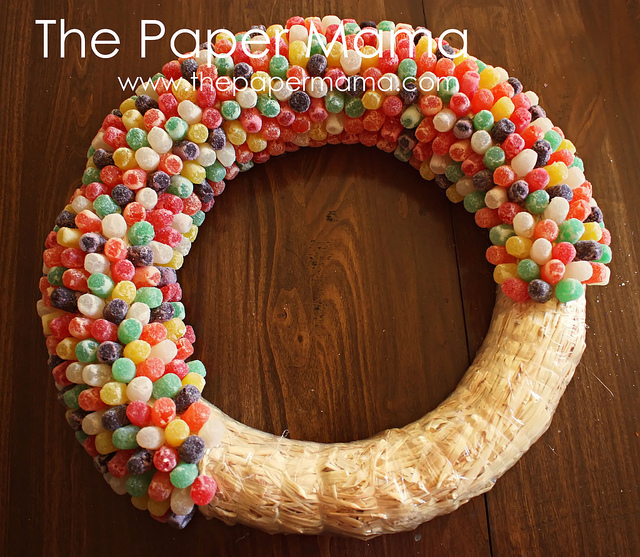 I ended up needing 5 pounds of gumdrops for my wreath! Hot glue gun and glue sticks. I probably went through about 30 sticks of glue. Maybe a million. I’m not sure. A bowl of water. This is for when you get hot glue on your fingers (cause you will). Dip your hand in there real quick! Time. It took me quite some time to create! 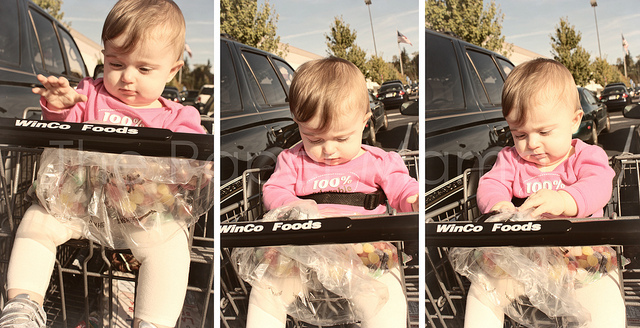 Step one: Go out and buy those gumdrops! This is a VERY important step! I purchased mine in bulk. You will probably need a helper for this step. Step two: Gather together all of your supplies (see supply list above). Again, a helper is nice. 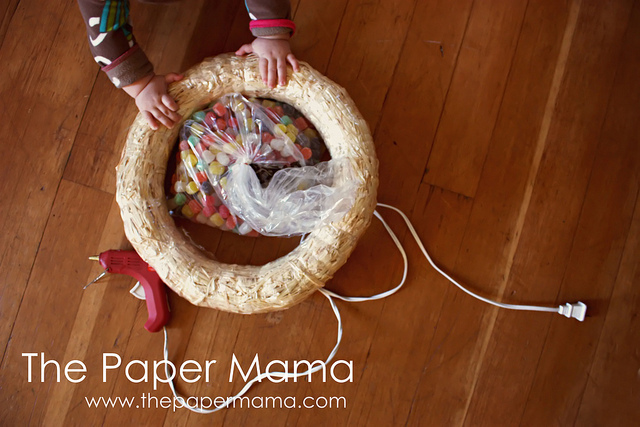 Step three: Start gluing the gumdrops (larger side of gumdrop glued down) on your wreath! I chose to leave the plastic that wrapped the wreath on. I thought the glue might adhere to that better than the straw. 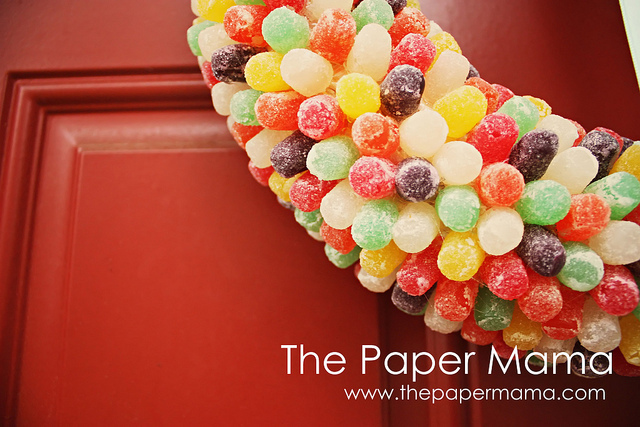 Note: because of the sugar coating on the gumdrops, a few will fall off. BUT, just glue them back on. 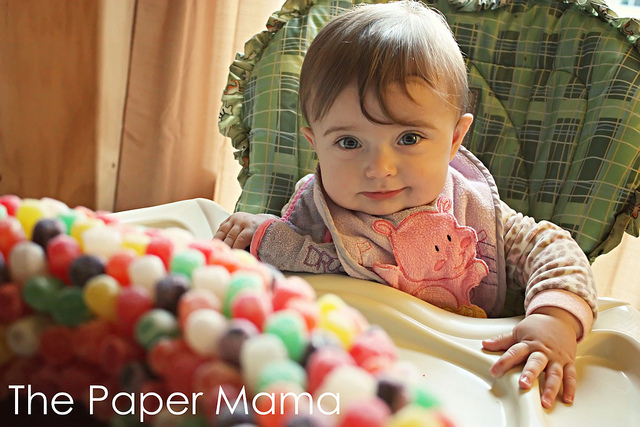 I have extra gumdrops for this. 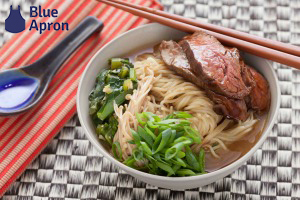 Step four: This is optional. You can spray a clear acrylic spray on the wreath to seal it. 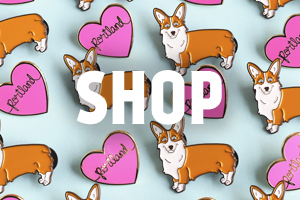 I chose to do this because I live in Oregon and we get some windy/rainy days. 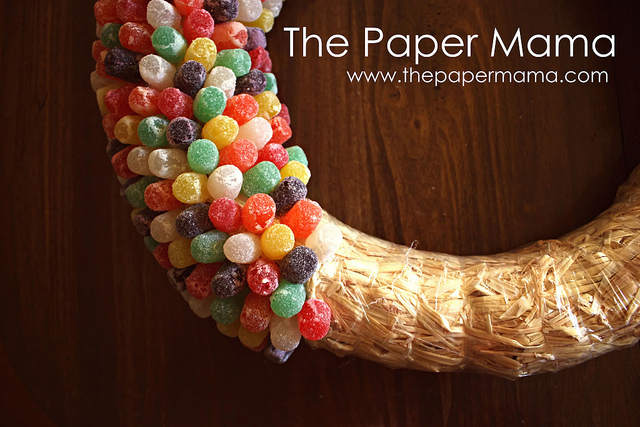 Step five: Now that your gumdrops are all glued on to your wreath, you can now glue on the ribbon! Pick any sort of ribbon you’d like! I chose this blue since that is the main color for Ruari’s birthday colors. Glue it down to the top of your wreath. Step six: Place your wreath on your wreath hook. Since this thing is SO heavy, I chose to tie it on to the hook with some wire. That’s optional. Step seven: You MUST enjoy your wreath!!! 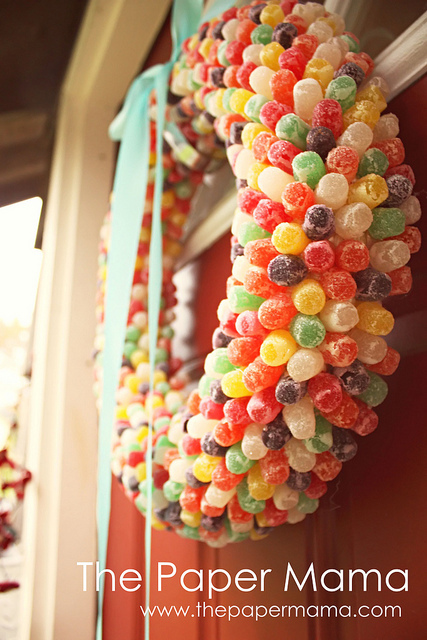 If you make a gumdrop wreath, let me know! I’d love to see it! Amanda at Pretty Little Life made one here! 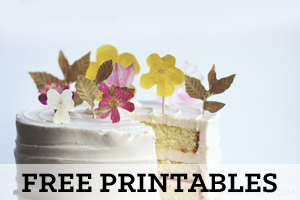 I made three of these as decor for my daughter's candyland birthday party. Time consuming, but ADORABLE! Everyone loved them. I also made two gumdrop topiaries too (made from styfophoam topiaries). I absolutely loved them (and since I sprayed them with acrylic spray, I've kept them and can like to use them for decoration for Easter! So cute!